I’ve grown to really dislike films by Robert Zemeckis. One in particular: Forrest Gump. I dislike the conceit that a simple country bumpkin would somehow be at the centre of the 20th century’s most important moments. Heck, I don’t even like which moments that were chosen as being important. What I dislike the most though are the quotes. Firstly, “Life” is in no way like a box of chocolates mostly because many chocolate boxes have a menu reflecting what each candy contains, there’s also a list of ingredients and… you know what, no, I’m not even going to continue this line of reasoning because you can’t use logic and reason to explain something that has no logic or reason. Most of all though, I really really dislike (is “hate” too strong a term?) the quote, “Run Forrest, run!” Why? It’s simple. So many times, when I go for a run, some idiot, or someone about to expose themselves as an idiot, will say it after I pass them. I quietly and respectfully will pass a person on the sidewalk and then, without prompting, I’ll hear, “Run Forrest, run!” and judging from the sarcasm in their terrible version of a Southern accent, they are not encouraging me, but mocking me or simply showing their disdain for… for what? Disdain for a person exercising? For all they know, I’m running from a marauding axe-wielding maniac and “Run Forrest, run!” will in fact, be their last words. That would be a shame, to die with your last words being a sarcastic, unimaginative, unoriginal and unfunny quote from an old movie, probably delivered in an approximation of an accent that borders on racist. That would be a shame. I suppose you might think me “cranky” or just a “crank”. You might even bring up the trend some years ago of finishing sentences with an exaggerated “NOT” (eg “I looooove rainy days – (pause for effect) – NOT!”) as a passing attempt at humour. I assume this was begun as a sophomoric catch phrase by Mike Myers in Wayne’s World, then re-invigorated by the film Borat (I would suggest both comedians used the device ironically). Yet this dumb use of a dumb quote continues to thrive and annoy. I have no answer for it except maybe if you just call people out on making a dumb joke they’ll stop seeing the humour in it. Last winter I passed a couple of youths, and I felt for sure, this was the perfect set-up. Two young teen lads, in their NBA hats and over-sized jerseys are the very group that usually drop that "vicious burn" and when I passed, almost like clock-work, one of them said… actually he surprised me. Instead of using the ol’ Forrest Gump trope, he coughed the word “a**hole”. I’m not exactly sure what leads people to assign such labels to strangers, but I’m pretty sure, someone who calls a stranger that, is probably the very thing they are accusing. I stopped and thought, I’ll be super polite and over-charm this guy. When I turned, I said ever so sweetly, “I’m sorry, did you say something to me?” As I was saying this I realized just how young these two were and they couldn’t really hide their age under the brims of their hats and I suddenly felt like a terrible bully. The one who said the obscenity meekly, nearly whispered, “No, sir.” “Okay, well have a good night, guys.” I chirped back, now fully feeling like a principal of a high school admonishing students for slouching. More than anything, it is a class thing. I get it, if I’m riding through Moss Park on a $2000 bike dressed like a peloton groupie but when I run, it’s just a t-shirt and shorts and Nikes. I mean, it doesn’t cost anything to run. Sure, my shoes cost a little more, but you don’t have to wear expensive shoes to run. It is the cheapest form of exercise you can imagine. No memberships or equipment required. I’ve heard strange stories of how runners used to be treated; from being stopped by the police to having rubbish thrown at them from moving cars, but the even stranger thing is, the refrain “Run Forrest, run!” is proof people still think you are an oddball if you run for exercise. Not just an oddball, but an affluent entitled jerk to boot. That’s the part I really don’t get. I really do not wear particularly fancy running apparel. You definitely could kit yourself out like an idiot but I wear pretty cheap stuff because I don’t feel expensive stuff helps. I don’t really have a solution to this problem except that when someone thinks they are making a good joke at my expense, I have the smug thought that it is actually a crap joke. Yet what can I retort? Well, when you die from choking on a Cheetos or whatever, I’ll show up at your funeral wearing inappropriately short running shorts and say “Hey, lay perfectly still, Forrest, lay perfectly still!” and no one but me will laugh, and they’ll all wonder who this weirdo is. Lately I’ve resumed running. Not from anything in particular. Well, that’s not true. I suppose I’m running from myself - my future self. A future self who can’t take the stairs without groaning or can’t walk a block without suffering. For the last few months through a combination of numerous minor medical procedures, injuries, illness, travel and the absence of caring, I have let myself slowly slip back in time to when there was decidedly more of me. Now I want there to be less of me, so I’m running again. I’ve discovered that the motivation to slip on running shoes has to be greater than the fear of my future self’s health or my current self’s weight. I’ve discovered the need to escape from the clamour of streetcars and garbage trucks, the confines of my street and my house. Luckily, about 2 Km from my place is a most necessary green space. 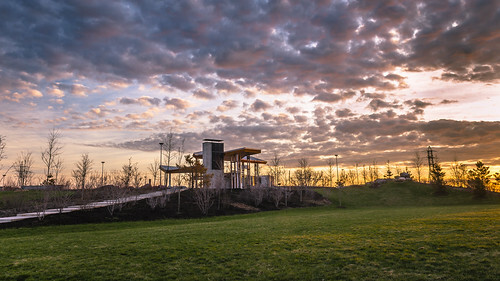 Between a new huddle of modest height condos and the stagnant Don River is Corktown Common, which is essentially a berm disguised as a 17 acre park built as flood mitigation against the possibility of an overflowing Don River. In some respects it almost feels like a mini-putt theme park with a tiny wetland here, exposed rock there, a small pasture and a playground over there. Heading south through the park you run on a bridge over a marsh while to your right, the city flickers in the dusk light. As you round the southern end of the common you pass the not-so-secret raspberry patch at the base of a contemporary sculpture and find yourself facing another future Toronto neighbourhood, a former Unilever industrial site which is part of larger area called the Port Lands. Another part of the flood mitigation strategy for the area will be to correct a historical wrong by re-straightening the mouth of the Don River as it empties into Lake Ontario. As part of the industrialization of the past the river was diverted to a hard right turn which has led to problems ever since. From here I can either continue north back through the residential streets of Corktown or duck under a rail line to run along the Don River. This year the path has been wet and the bushes and plants have been pushing to overtake everything. The ground on either side of the path is muddy and the fecund undergrowth is alive with bugs like mosquitos and midges. This is what a wetland looks like and this is what Governor Simcoe found when he was stationed here in the 18th century. Toronto is as mushy as any marshland because, at the southern part near the Lake that’s what it was. Another month of volunteering, sketching, reading and medical interventions meant another month I re-watched a lot of older stuff rather than watching anything new (old Spider-man movies, Captain American Civil War, the HBO series High Maintenance on-line shorts). Here's what I did see. I went to see this on a rainy Saturday and it was worth the price of admission to see a birthday party group of 8 or 9-year-old girls kick and air punch their way out of the theatre. 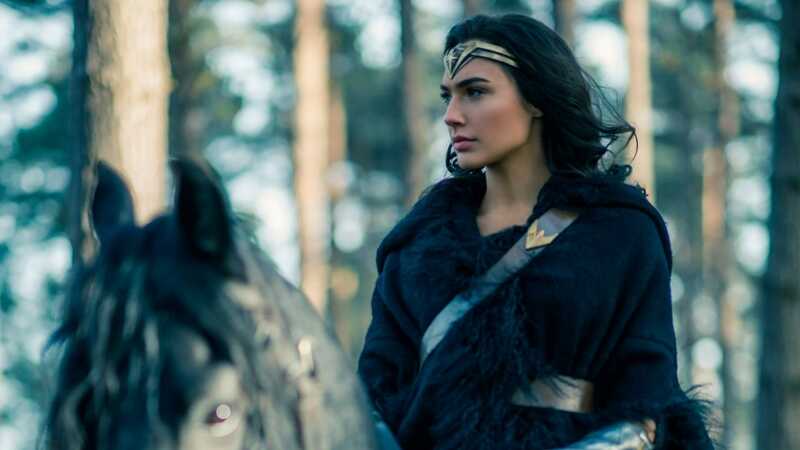 This is a standout film that showcased Gal Gadot’s star power. On a dime she could be kicking evil-doer’s butts then spin and unleash a smile that makes everything seem worthwhile. I mean, it’s you girl and you should know it… it’s your chance so why don’t you take it? I’m not sure what this film means to feminism but seeing this take on a character that could’ve been a cheesy unmitigated disaster like Suicide Squad or Batman vs Superman means there may be life in the DC comics universe after all. It’s a straightforward origin story with Wonder Woman leaving the paradise of her childhood to combat evil in the “world of man” while becoming close to a kind of atypical, not your average guy Capt. Steve Trevor (played really well by Chris Pine). This movie has it all. Charismatic leads, romance, humour, action, drama, thrills while still injecting some powerful messages about the importance of female empowerment and the systemic biases that exist in even “progressive” societies. None of which was evident in the preposterous messes that were previous DC films. A lot of people have thought this will signal a change for the DC franchise but I’m thinking it’s more likely a one-off exception that proves the rule that Zack Snyder (the creative lead behind the series) is not really up to the difficult task of storytelling with the same skill of Wonder Woman’s director, Patty Jenkins. I guess every generation should have its version of Shakespearean classics and I was hopeful this broody and atmospheric (like… really “atmospheric” - does Scotland really have that much mist?) version with Michael Fassbender and Marion Cotillard. Yet it felt like a cut up, edited, chopped up music video or something without the flow or intensity you’d expect. It did look great, like a Ridley Scott Alien version but it felt slow and Fassbender, a great actor, looked more at sea than driven. Cotillard as Lady Macbeth is very good especially when you see her regret and realization it has all gone too far. I only wish the director had the same insight. It makes for a lot of summer fun to see the characters of Jane Austen’s Pride and Prejudice, Lizzy Bennet and Mr. Darcy, attack each other with assassin level martial skills whilst still reciting their famous speeches to one another. It’s the same classic tale of class and romance only set in an England besieged by a zombie epidemic. The film has some very funny and insightful moments where the violence is the perfect subtext to the dialogue but unfortunately ends with an oddly cliché cliffhanger suggesting an unnecessary sequel. 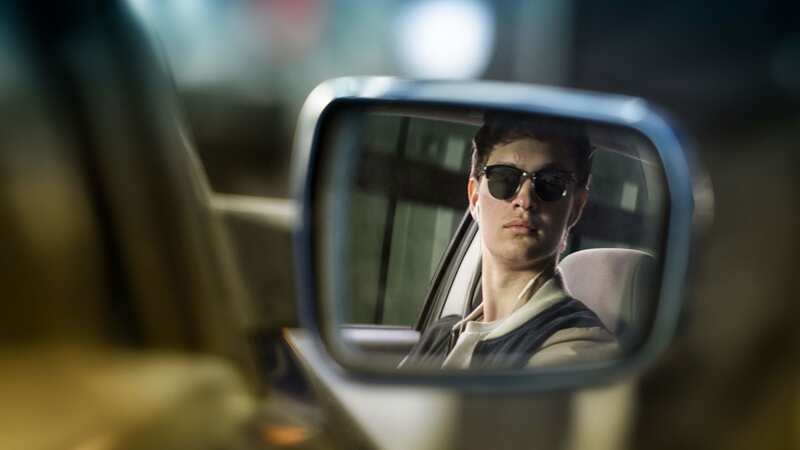 As an advocate for cycling and vulnerable road user legislation I had no intention of seeing a movie which celebrates and glorifies illegal street driving, until l heard the terrific soundtrack. The titular “Baby” is a young, exceptionally talented getaway driver working off a debt to a local crime boss. 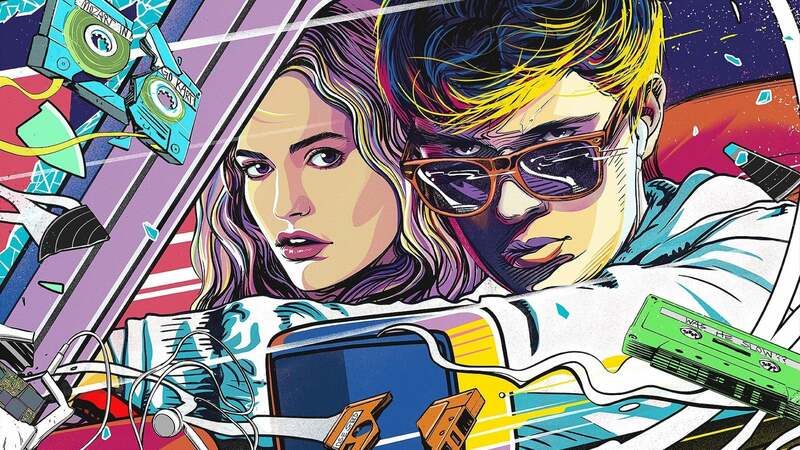 The vehicular phenom has no great plans for his life until he meets Deborah, a waitress at his favourite diner (played by Lily James who played Ms Bennet in Pride and Prejudice and Zombies), and falls in love. Beholden to keep working increasingly violent bank heists, Baby concocts an escape plan which doesn’t go very well when he has an expected moment of conscience. For the most part, this movie matches the balance of fun, humour, and action you’d expect from Edgar Wright (director of Shaun of the Dead, Hot Fuzz and Scott Pilgrim vs the World) but the last 20 minutes were violent and bloody enough to break the spell for me.